1. So I grabbed the source code and started compiling. I learned that you need to install a package before starting the compile process. 2. Before you get started, let’s remove all the old programmes. 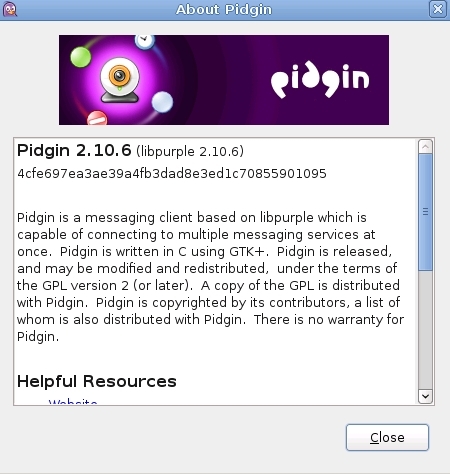 removing libpurple should remove all the pidgin libraries, and pidgin itself. sudo apt-get remove whatever package it shows. –disable-screensaver – if you don’t need xscreensaver support, disable this. –disable-gtkspell – if you do not use automatic spell correct, disable. — disable-vv – if you do NOT need video/voice support disable. –disable-meanwhile if you do not need meanwhile (sametime) disable. No idea what that is. –disable-perl — if you do not need perl support, disable. –disable-tcl — if you do not need tool command language (tcl) support, disable. 4. Compiling will take some time. So go take a break, get a c.r.b. (cool refreshing beverage), etc. Well some calamities, Jane. Our old webhoster went down, and I needed to re-locate. So….I am back….almost. Some of the pictures are missing, and wordpress needs some tweaking, but I alone survived to tell the tale. If you were a subscriber, you will need to re-subscribe. Apologies, but I have no access to any of the old data. Fortunately, my wordpress backup was only a few days old. Didn’t lose any articles, just pictures, which can be re-added. So I ask for your patience while I recover. Yes, the original post is in Spanish, and my espanol is not up to par. So I translated the page into English. It IS in Spanish. I was a little intimidated since sudo got translated to: I sweat!) Note, the original post had a space between the ppa name and gnome3. Nope that didn’t work, but was easily fixed. Also note, the I did NOT do the dist-upgrade as posted in the original article. Logout. Choose gnome-3 at the bottom centre of the login, screen and go for it! Extra points if you can figure out where my desktop image was taken. Hint: It’s NOT in Arizona! Okay so what is dns? Dns is the piece of software that translates the www.usatoday.com into http://209.97.50.34 auto-magically, behind the scenes. Yeah those ip addresses might be a little hard to remember. 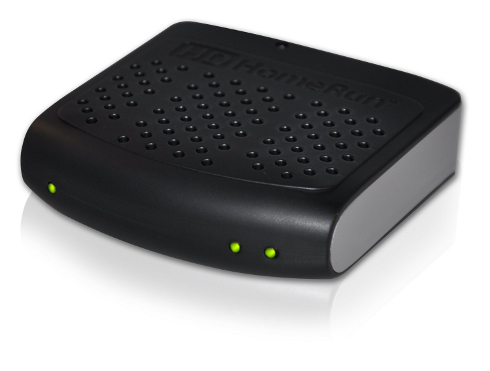 Making your Linux box, be it’s own dns, means faster/quicker access to the internet. That’s what we want! Quick comparison. Using my isp’s supplied nameserver, I did a dig on hak5.org. WHOA! 99 msec vs 1 msec. Oh yeah! As always, anything with an octothorpe (#) is a comment. That and the comments that follow need NOT be coded. NOTE that a LAN DNS Server is meant to run on a machine that is always on the Internet. In other words, up 24/7/365. You only need ONE DNS server per LAN. Remember, if you will use this for DNS resolution of any other computers on your LAN, that computer should always be running. If your DNS machine is powered off, DNS will default to the second DNS server in your router, and continue on. 1. do an ifconfig, so we have a path back to the way it was before we messed it up. 3. Type in network-manager, find network-manager and check MARK FOR COMPLETE REMOVAL. Hit apply. Network mangler is history. 4. 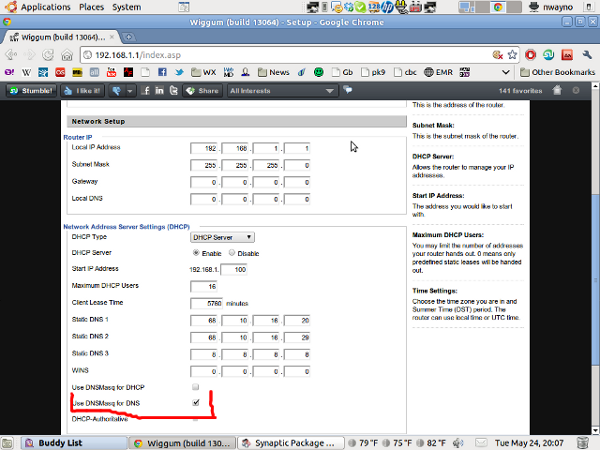 Now change from using any dynamic dhcp assignments to a static ip LAN address. 5. Now we install the dnsmasq software. that tells us the name of the DNS server it used. Yup that's our guy! 8. But what happens if I need to change the settings for my card or....some other thing? wicd is a very nice replacement for network mangler. Enjoy your own DNS goodness. You may need to adjust some router settings. I am running dd-wrt and so I had to do check use dnsmasq for DNS so that the 127.0.0.1 would show up in /etc/resolv.conf properly. And anything on your LAN would also be able to use this for a DNS server. Just point it to the LAN address of where you installed the software. In my case: 192.168.1.101. You would also need to port forward all incoming dns requests in your router for port 53 to the LAN ip of your dns server. I changed the nameserver to point to the dns server we just created. 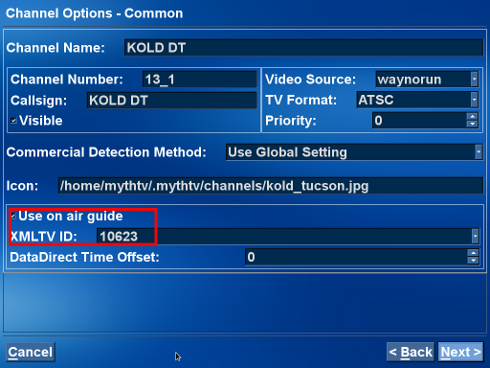 CAUTION: DO THIS ONLY IF WICD IS WORKING CORRECTLY. IF YOU DO THIS AND WICD FAILS, YOU WILL INDEED HAVE NO INTERNET CONNECTION. YOU WOULD HAVE TO GO TO ANOTHER MACHINE AND GET THE .deb FILES. Thanks Joe and Loni, for your help. This is a really simple script, but it underscores some key concepts here. Variable assignments, while statements, checking for null input, reading input from the terminal, comparing strings, etc. I tried to annotate this script so you could follow along the major concepts. This is pretty basic, and so are the concepts, but I hope it gives you enough to build upon. Bash Pitfalls helps, but you need to be fairly familiar with Bash to begin with. This was over my head. YMMV applies. Opera renders this page correctly, Chrome not so well. echo "Displaying Logged in Users"
# The who command listed all the people logged into the system. echo "What person do you want to zap?" echo "Null string. Not permitted. Enter a person to zap: "
echo "$person is NOT null." # display to the user, the name of the person we want to zap. echo "confirm you want to zap User" $person "(Y/N)"
echo "$ans String is null." echo "$ans is NOT null." echo "$ans was okay to zap"
What person do you want to zap?